TULARE – Tulare County officials say the number of building permits for both single family homes and commercial buildings increased sharply in 2013. County records show 3,363 building permits were issued in 2013 – up sharply from the 3,023 issued in 2012. Officials say the value of all building permits issued in 2013 increased approximately 32% – to an estimated overall valuation of $166.3 million. 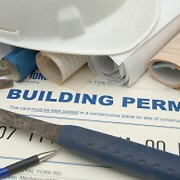 Permits issued for houses increased by 23% while commercial building permits increased by 20%. What’s changed? Two years ago the board of supervisors established an in house economic development program to foster value growth. Challenged to make the county easier to do business with, planning administrators developed a team-based approach toward business development. For example, if someone wanted to fast-track construction of a medical clinic, or expand a large ag processing facility on an aggressive timeline, the county developed a “new” team-based process to accommodate that developer’s needs. “We have streamlined the process to improve service to our customers,” said Mike Spata, associate director of the Tulare County Resource Management Agency. The planning team works with the business owner or project applicant to determine several important details, such as project timeline and how much should the process cost? “Then we can have the real conversation – how fast the business owner wants to move forward,” Spata said. Officials say the increase in business activity and total number of projects permitted during the last two years indicates that in addition to signs the overall economy is finally improving, the county’s new economic development approach appears to be working nicely. In 2013 alone: Setton Farms pulled more than $2 million-worth of permits for plant expansions; Paramount Citrus expanded greenhouse facilities – $2 million in permits; Family Health Care Network’s new rural medical clinic in Terra Bella – $750,000 permit value; Ventura Coastal $1.6 million – installation of new silos to store citrus juice in Tipton. Business Street staff writers desk to email about this article Editor@BusinessStreetOnline.com.